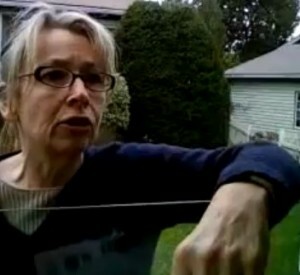 Erica Winchester | Is Erica Winchester The Subject Of the Racist Postal Tirade Video? A viral video emerged in recent days of a woman from Hingham, Massachusetts berating a postal worker in the ugliest and most racist way imaginable. Since the story broke, websites like 4Chan and Reddit among others, have worked overtime, and appear to arrived at a likely suspect in the horrible video (the posting of which seems to have lead to the Postal worker’s dismissal.) If the Internet is right, the woman in question lives in Hingham, Massachusetts, and ironically, operates a consulting service to improve public speaking. 1. You always hear about fear of public speaking. Can you help to reduce fear in front of others? Fear of public speaking is a common problem. Relaxation and focus exercises, familiarity with your content, individual practice and coaching will help to reduce your fear. It’s important to think about your audience in a way that empowers you as a speaker. Easier said than done. I work with professional techniques which show you these skills and will give you the proper confidence. There are always hidden techniques for any effective speaker. 2. Can anyone change their speech rhythm and speaking style at any age? Yes. If the person is ready to make a change to improve their speech, it can happen quickly. If there is an accent, it may be a slightly longer process. 3. Does proper breathing improve your vocal quality? Definitely. Diaphragmatic breathing is one of the keys to improved vocal quality and resonance. It also makes a speaker look more confident in front of others. 4. Is audio and video feedback beneficial for most people? Most of the time. It can help you learn more quickly by immediate feedback. If someone is particularly shy, I avoid it and use other techniques instead. 5. What three things should we remember about improving our voice and communication skills? A) to listen well, B) to focus your message ­ what’s your point? and C) to use mind and body.